GebRieL Brothers - ''Trancology'' The Tower. Thread: GebRieL Brothers - ''Trancology'' The Tower. 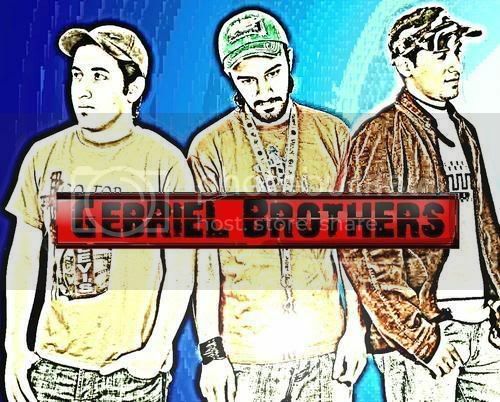 Bio: GebRieL Brothers allways dreamed about taking part in the electronic music scene. They began There way at age 16, Dj'ing in some of the major clubs and high class private parties in Egypt. There big breakthrough was at the "Sling" club, there he supported There new line of music and There reputation only got bigger and bigger. After completing There millitary service, They stopped Dj'ing for a while in order to build There studio and they enrolled to "BPM" Musical College, Taking professional "Sound &amp; Mastering", They finished top of the class. Then on he started There career as a producer and elevated There name to a very honorable place in the Electronic music scene. While There reputation was growing, They was invited by Paul Van Dyk ,Almani Records, to work on "Heppner's" "i Feel You" remix. The single was released at "Dance Nation 5" CD collection, and was a huge success all over the world. GebRieL Brothers was in charge of producing Amr Diab ("Neoal Eah Remix) In The Album "It'll Take An Effect On The Radio And All Sides Of The World ,,,,,and many more remixes alike. Dont Forget To Comment ..,,We appreciate that.